The Soil & Water Assessment Tool is a small watershed to river basin-scale model used to simulate the quality and quantity of surface and ground water and predict the environmental impact of land use, land management practices, and climate change. 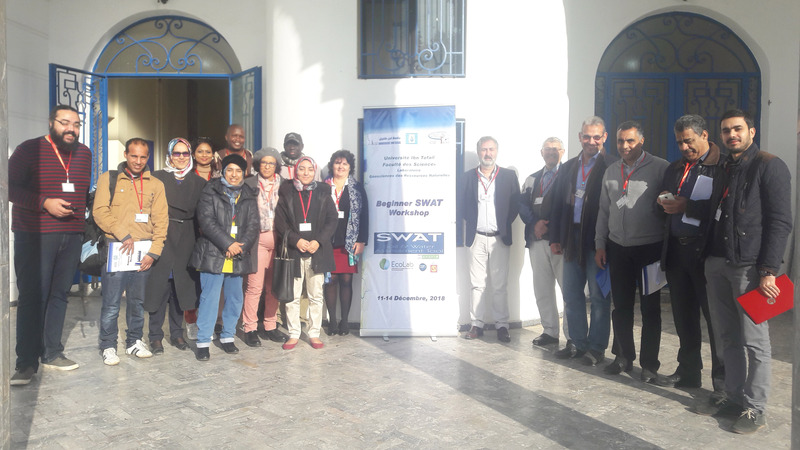 SWAT is widely used in assessing soil erosion prevention and control, non-point source pollution control and regional management in watersheds. Introducing SWAT+, a completely revised version of the SWAT model. SWAT+ provides a more flexible spatial representation of interactions and processes within a watershed. The following SWAT special issue journals are accepting submissions. You do not need to have presented at a SWAT conference in order to submit a paper. You may also attend remotely via the internet. Join us for a special SWAT session at the Vietnam International Water Week (VACI2019) in Hanoi the 22nd - 25th of March. Read the flyer for more information. 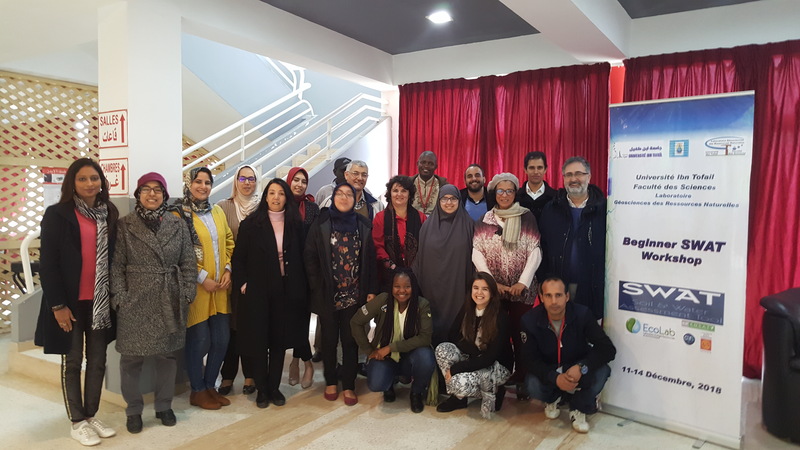 José-Miguel Snchez-Pérez (CNRS, France) and Sabine Sauvage (CNRS, France) helped conduct a beginner SWAT workshop at the Université Ibn Tofail, Faculté des Sciences in Kenitra, Morocco, the 11-14th of December 2018. Looking for job opportunities related to SWAT and/or watershed modeling? Check out our listing. We are looking for help reviewing SWAT peer-reviewed journal papers from the community. Sign up as a volunteer.